Compañeras and compañeros of the Sixth in Mexico and the world. For us, the exchange was a way to take each others’ hands, to see one another and how we are doing and what we are thinking. It was a chance to get to know each other, those of us who are below and who are the originary peoples of these lands. And it wasn’t an exchange for representatives or leaders, but for the [community] bases of our peoples, nations, and tribes who hadn’t had the chance to take each others’ hand and get to know each other and touch each others’ hearts for the last 520 years. In the Zapatista Caracol La Realidad, our desire to be together, to exchange our words as indigenous men and women, became a reality. When we speak to each other as [community] bases, not as leaders, we understand each other, we feel that we live in common. And what allows us to understand each other so quickly is the life that we are living, a bad life, and a life that is no longer only ours but is now also that of poor men and women in the cities. We talked about how capitalism has us cornered, how and why it has imposed itself on us, and what will happen to us if we continue on as capitalism has dictated. In 5 days and across the 28 languages spoken among those who gathered, we came to agreement on what our path will be with the exploited people of the city and the countryside. Our gaze became wide and we agreed that we must unite with people from the cities and countryside. 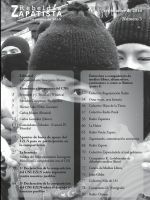 We need to share with the compañeros of the Sixth in Mexico and the world in order to know about their struggles of rebellion and resistance. We want those compañeras and compañeros who are the actual [community] bases to come share with us. We say the actual community bases from below because they are the ones who know how a new society will be born. They do not come from the political parties, nor the new political parties, nor from politicians and political personalities, who are all servants of capitalism. Peoples, nation, tribes, poor neighborhoods, poor workers, the exploited of the countryside and the city: these are the people who know how a new world should be, how a new system of governance could work. Why? Because they are the ones who have suffered injustice, poverty, inequality. They have suffered sadness, pain, bitterness, loneliness. They have suffered imprisonment, torture, and disappearance. They have suffered century after century of deceit, discrimination, horrible things, inhuman cruelties, humiliation, dispossession, and displacement. They have suffered centuries of mockery and a life without peace because of those above—the capitalist system. The political parties of the politicians are covered in the mud of that system. Our backs have been used as ladders for politicians to climb to power; we are well-trodden from so much climbing up and down by that mafia. We talked about many other things; there were hundreds of proposals and we have agreed on the most important one to work on: to return to our peoples, nations, and tribes and multiply and make this first exchange bigger; and to prepare another exchange with the compañeras and compañeros of the national and worldwide Sixth. Many other things, rich, clear and true, came from this exchange between the community bases of our peoples, nations, and tribes. In the exchange it was said that there has always been someone else speaking for us, claiming to fight for us, during 520 years of lies and exploitation. It was said that the struggle of the poor in Mexico in 1810 and 1910 was used by large landowners in order to bring themselves to power, and it is their great grandchildren that are in power today, damaging and destroying our mother earth in this country that we call Mexico. All of us returned to our homes with strength and dignity, like our compañeros GALEANO [José Luis Solís López] and DAVID [Ruiz Garcia], who will both always be with us. Like all of our compañeros fallen in the struggle. We returned with new tasks so that we may find a better path for our future. We have met each other and learned, learned a lot, and there is much more to do to get to know each other as original peoples of this land, as well as nationally and internationally. That is where this path is headed. We want to struggle together also with those who aren’t indigenous, with the compañeras and compañeros of the Sixth, brothers and sisters of the countryside and the city. We want to struggle together, because no one is going to struggle for us. So prepare yourselves, compañeras and compañeros, for the World Exchange to be held December 22, 2014, through January 3, 2015. There in that exchange our wisdom will tell us how our struggle will go forward. Let it be our bases who run this exchange; let them be the ones who have the floor, who talk and explain our struggles in each place where we live, work, and struggle. We have seen that it is best that the bases speak. This isn’t what we Zapatistas say; it is what became reality during the exchange in the Caracol of La Realidad. Let the people rule. Mexico, August 2014. In the twentieth year of the war against oblivion. 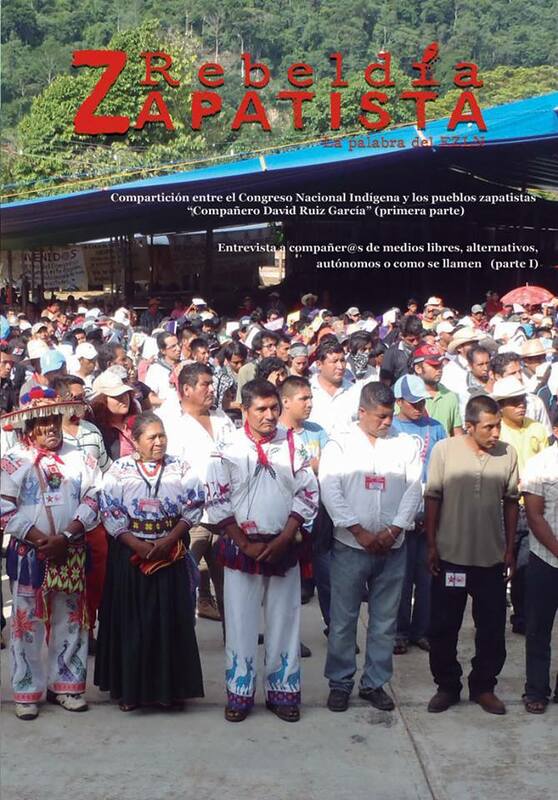 [i] Footnote: “The Sharing” (which might also be translated as “The Exchange”) was the name given to the event held jointly between the EZLN and the National Indigenous Congress from August 6th to 11th of this year. We have decided to use “sharing” or “exchange” interchangeably in this translation in order to create a more readable English language text. 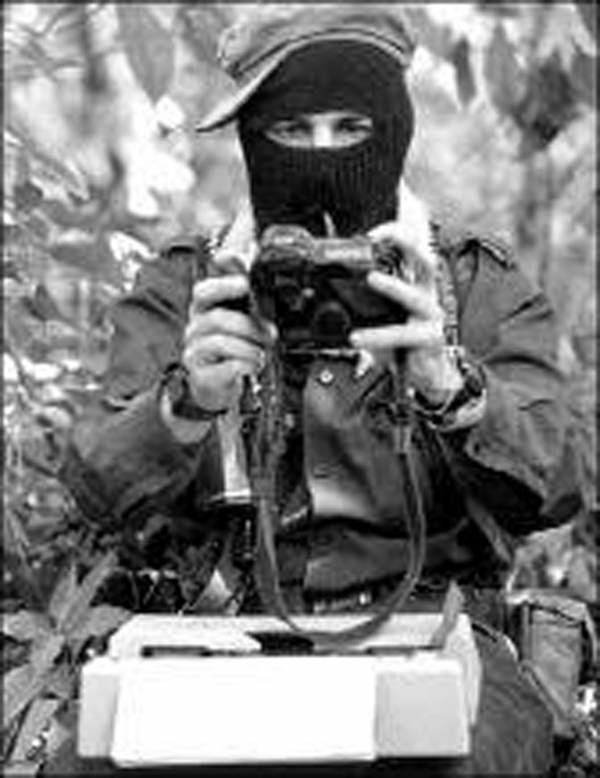 The reader should however bear in mind the specificity of the Zapatistas word choice and the difficulty of finding equivalent concepts in English.